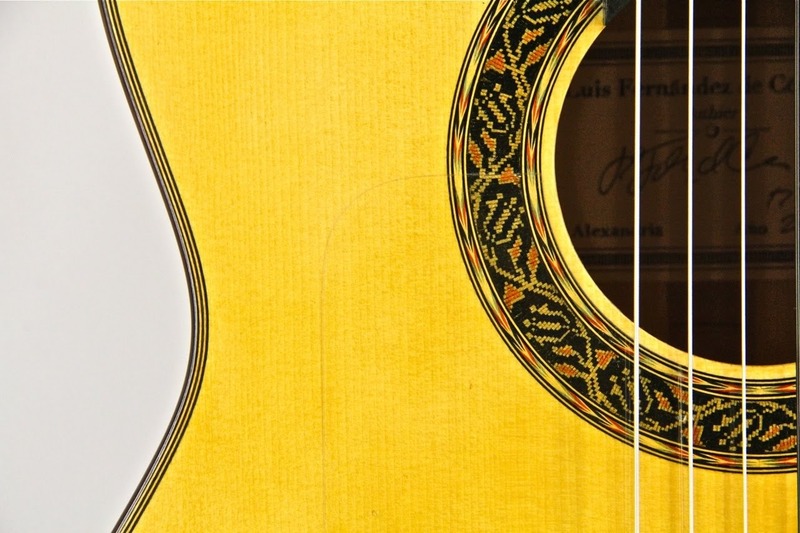 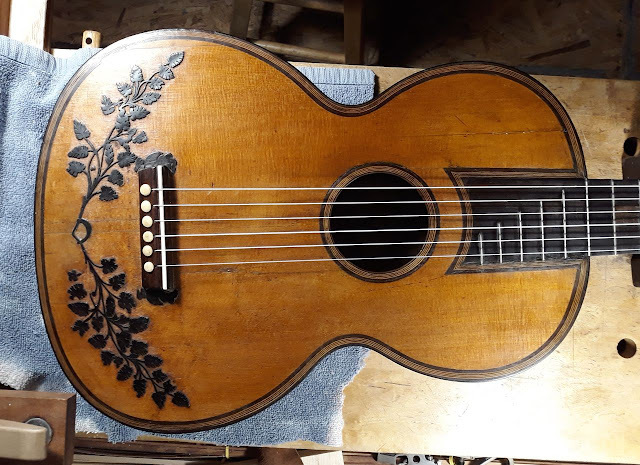 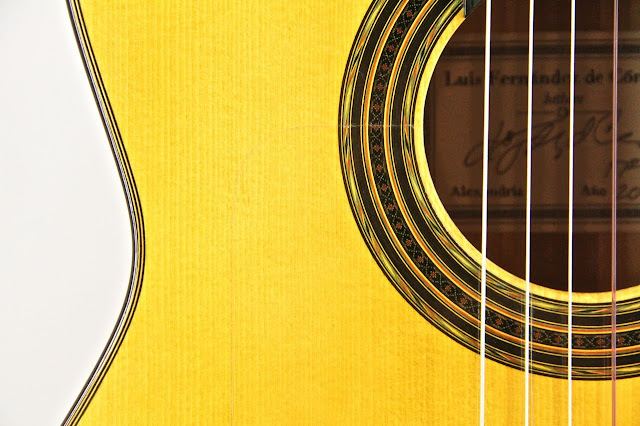 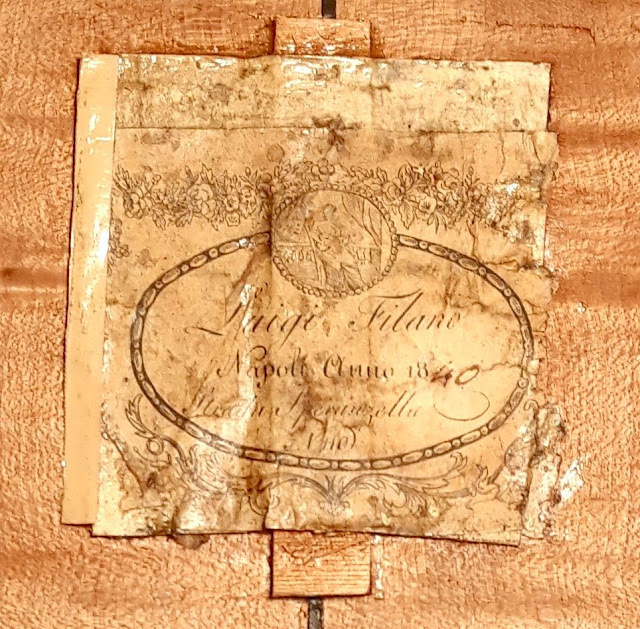 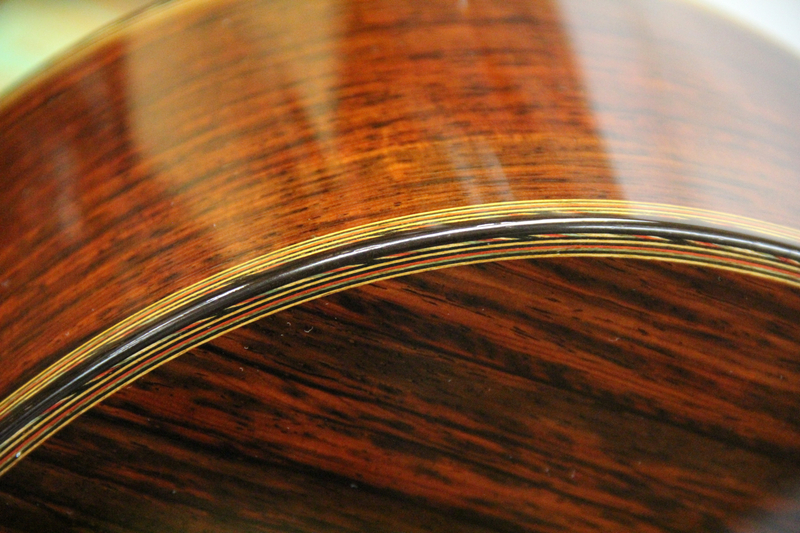 Recently I restored this 1840 Luigi Filano guitar made in Naples, Italy. 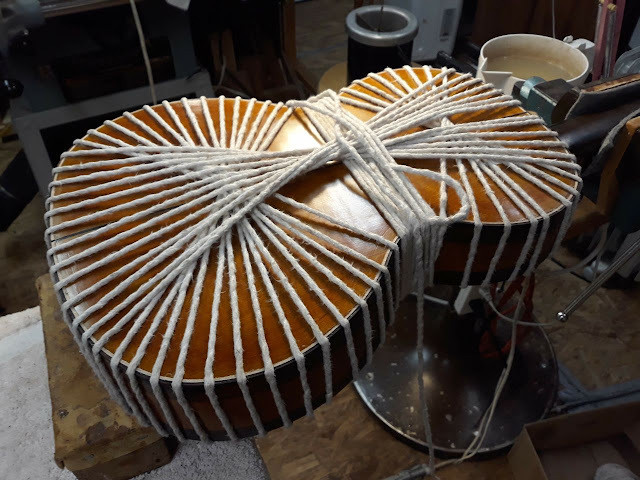 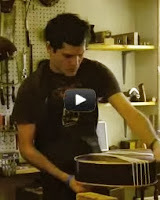 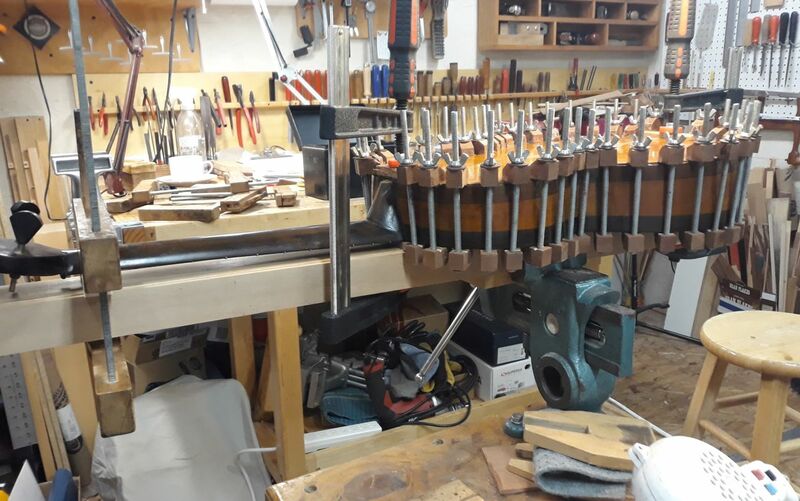 It is very similar to the more well known Gennaro Fabricatore instruments made in the same city. 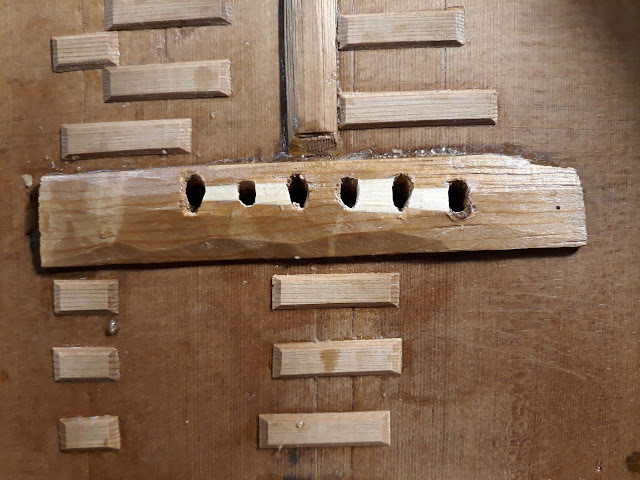 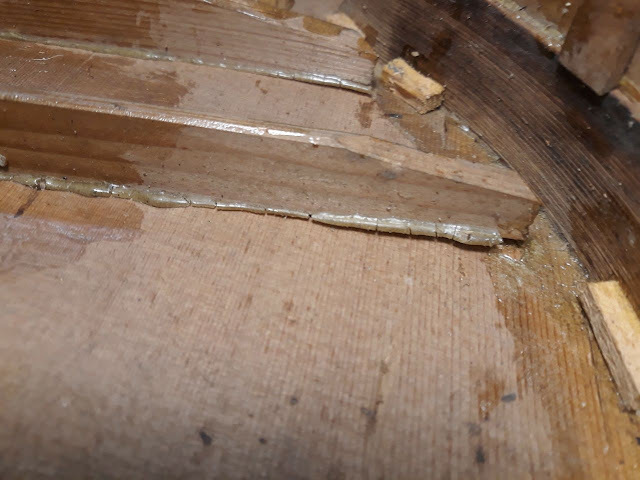 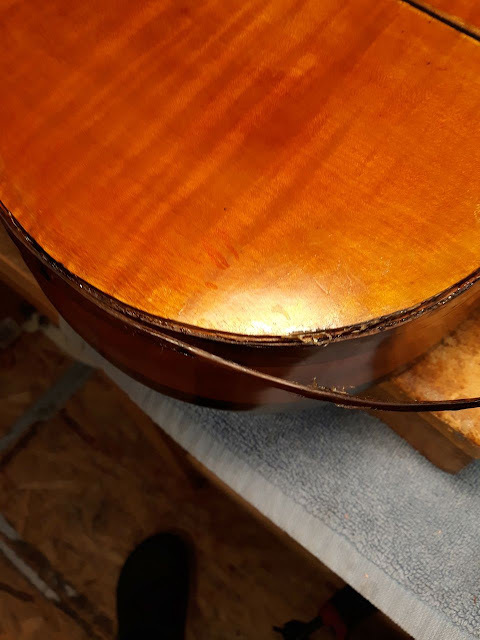 The problems were a loose back with loose and broken binding, loose back and top braces and various cracks. 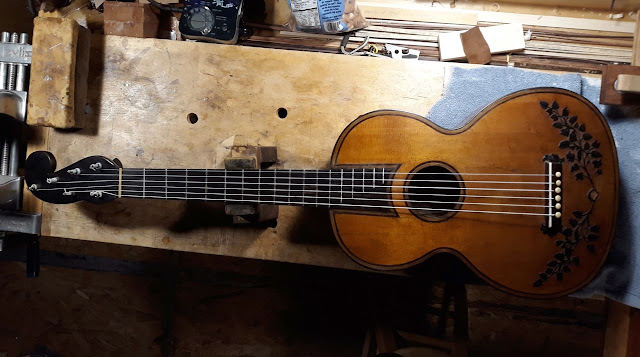 The guitar was not strung up so I could not gauge playability, but as I worked with the guitar I noticed it needed fretwork and a saddle. The original saddle slot had been filled and they were using a piece of wire as a saddle. 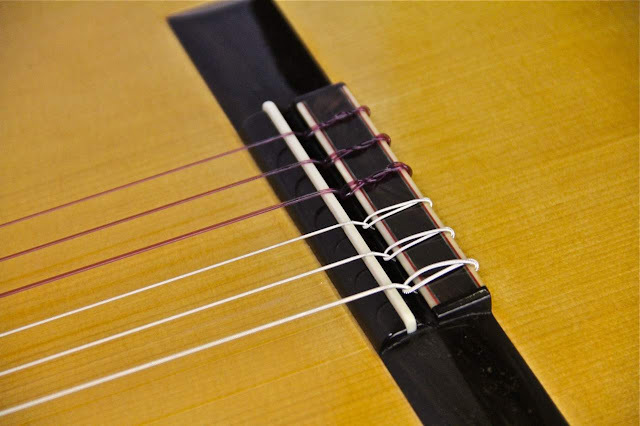 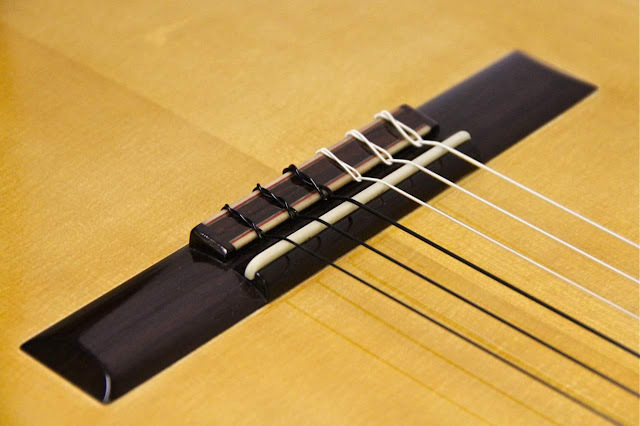 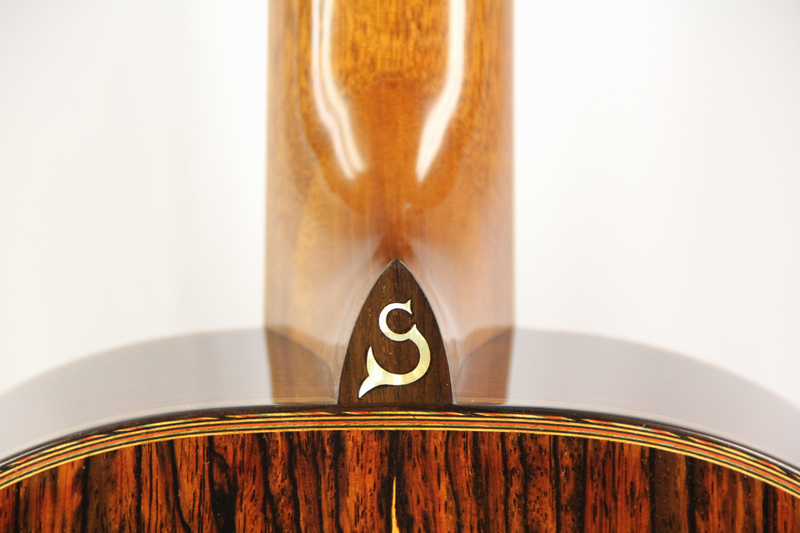 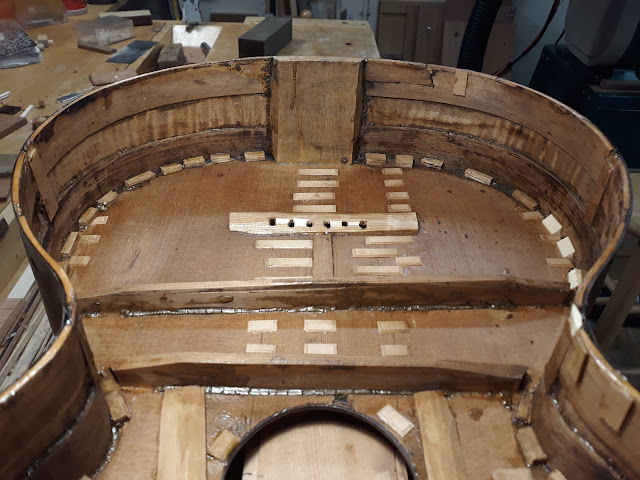 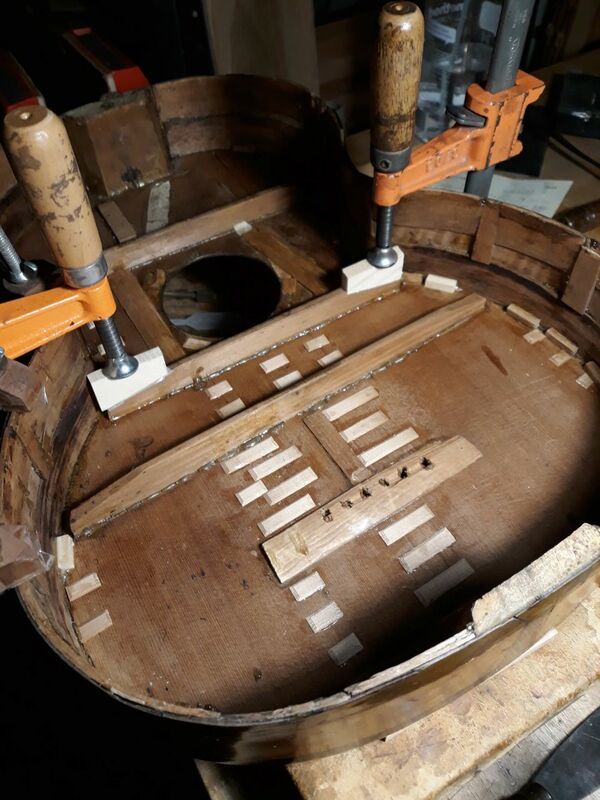 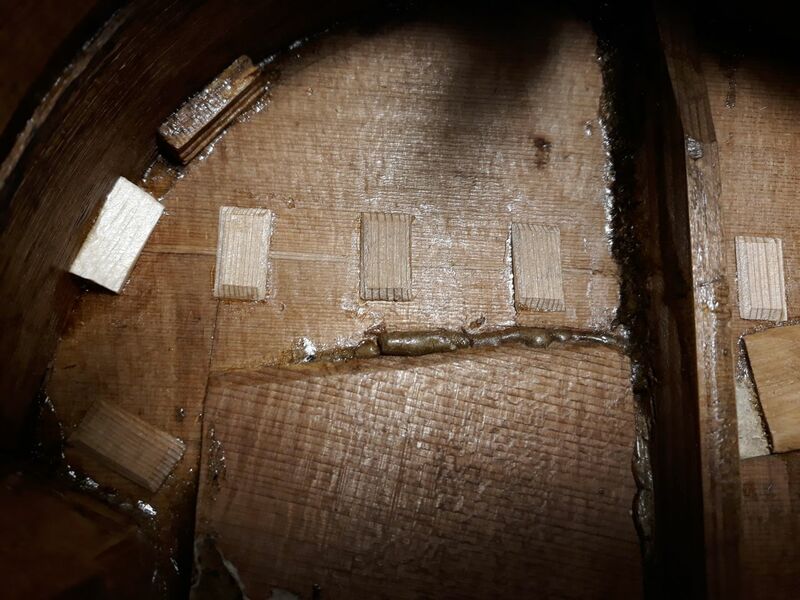 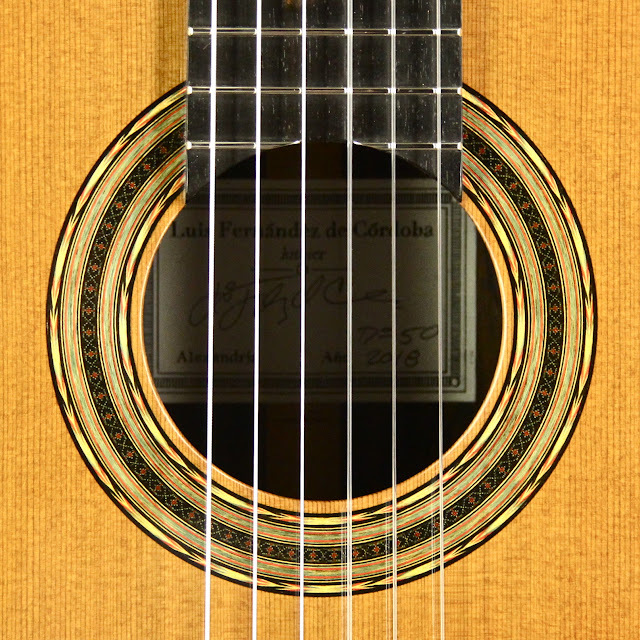 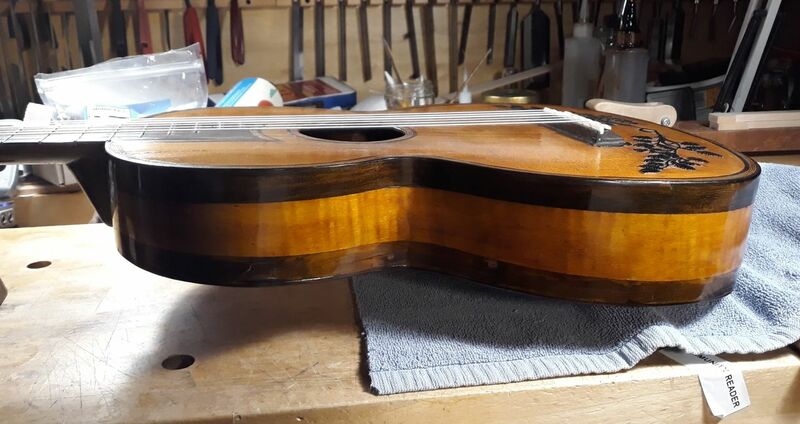 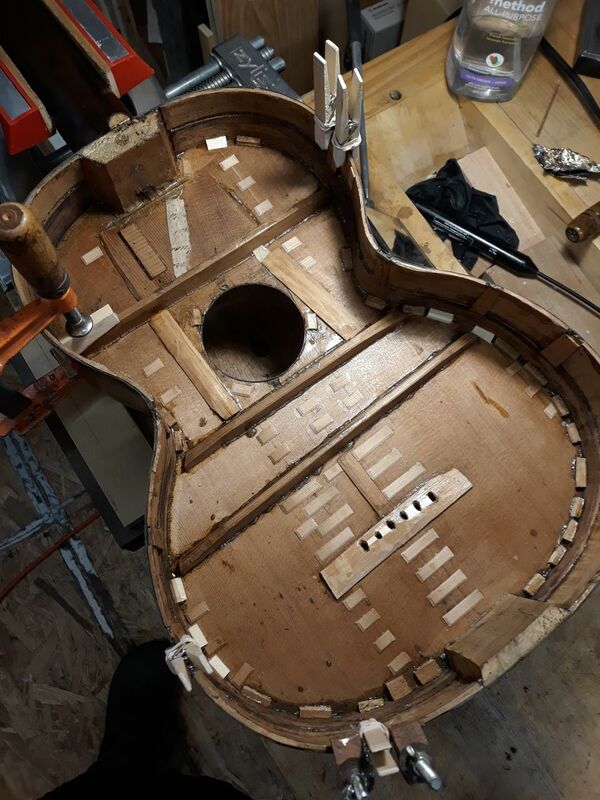 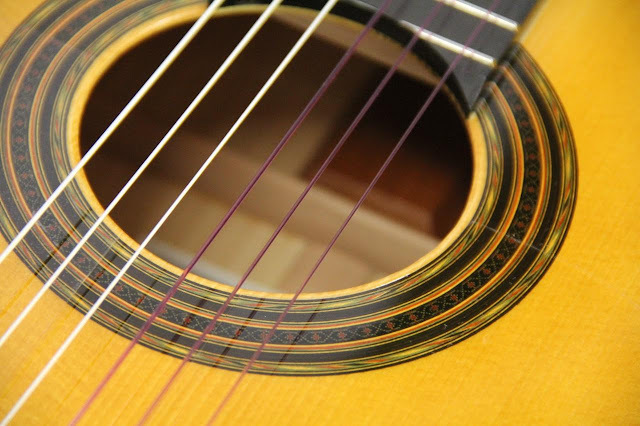 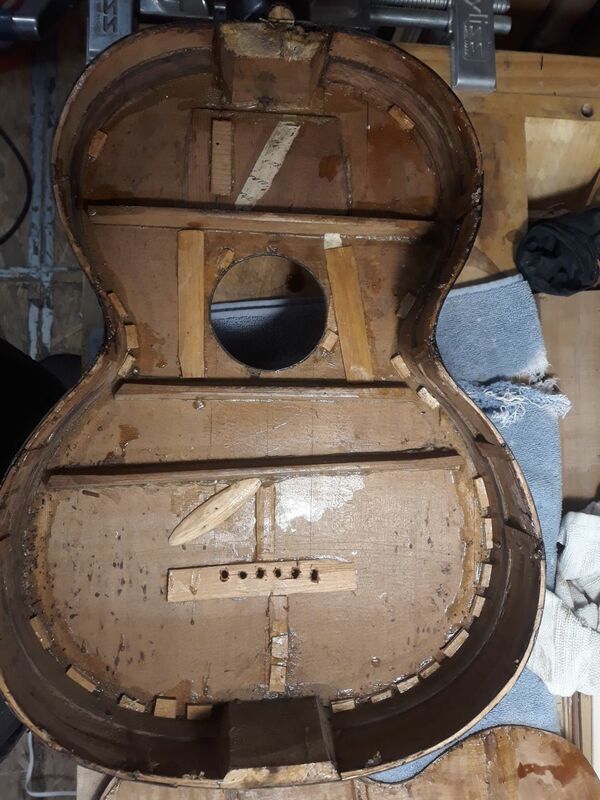 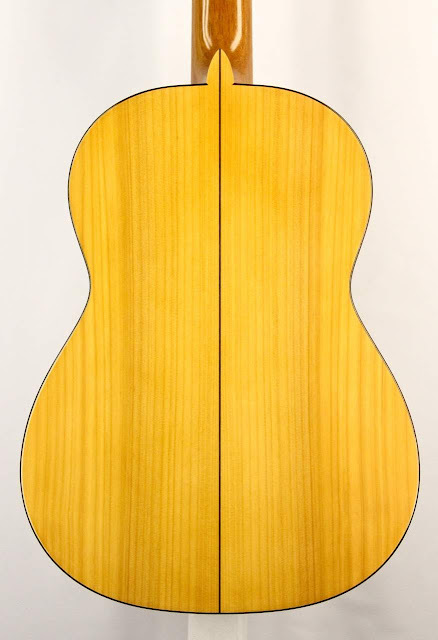 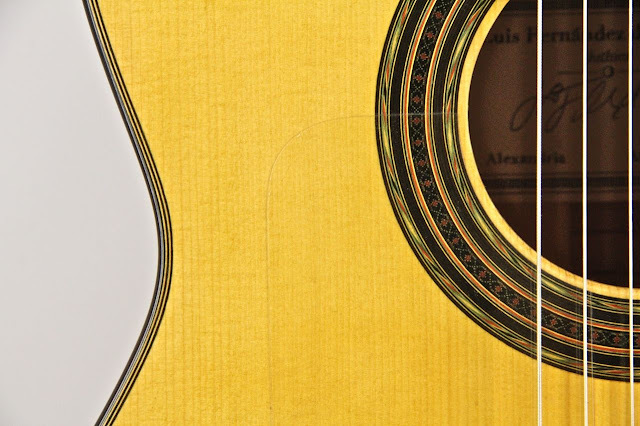 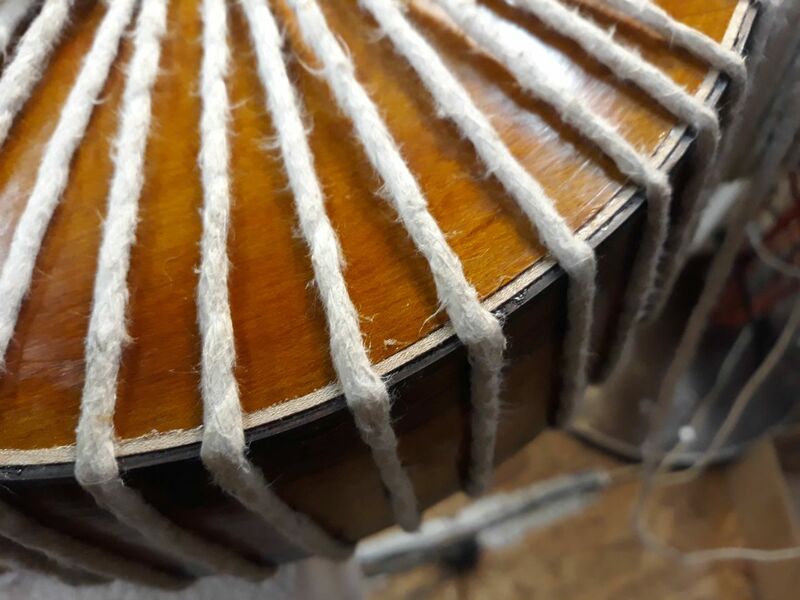 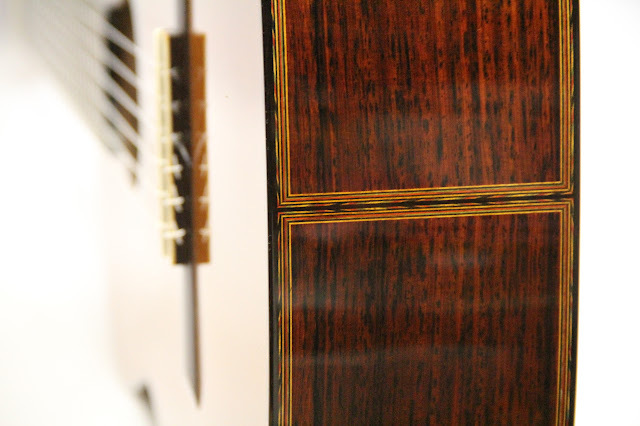 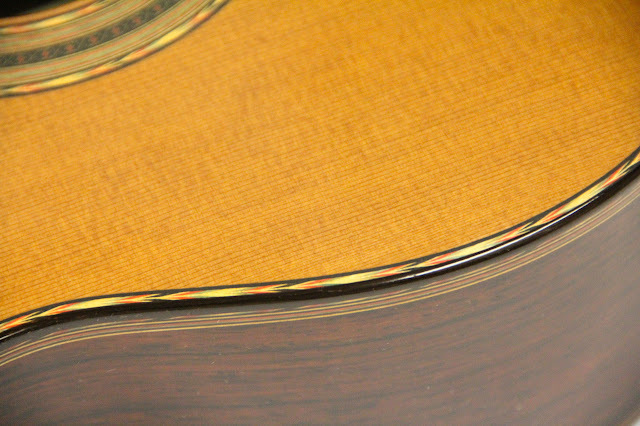 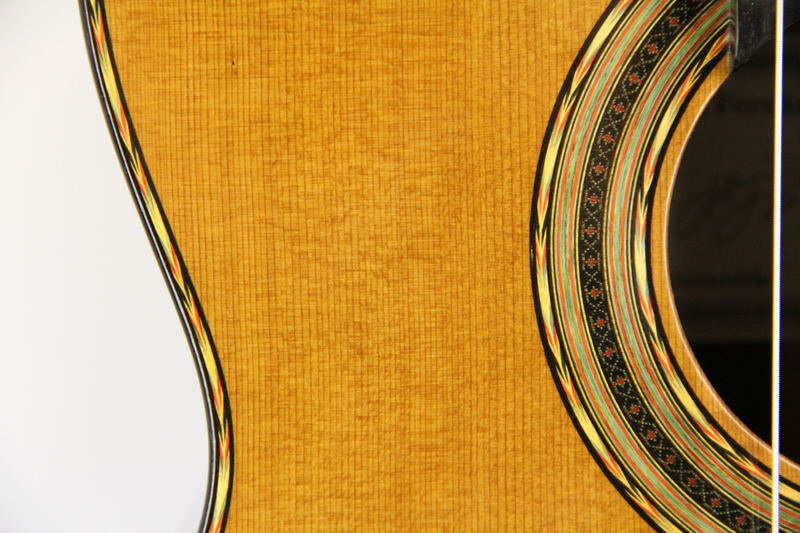 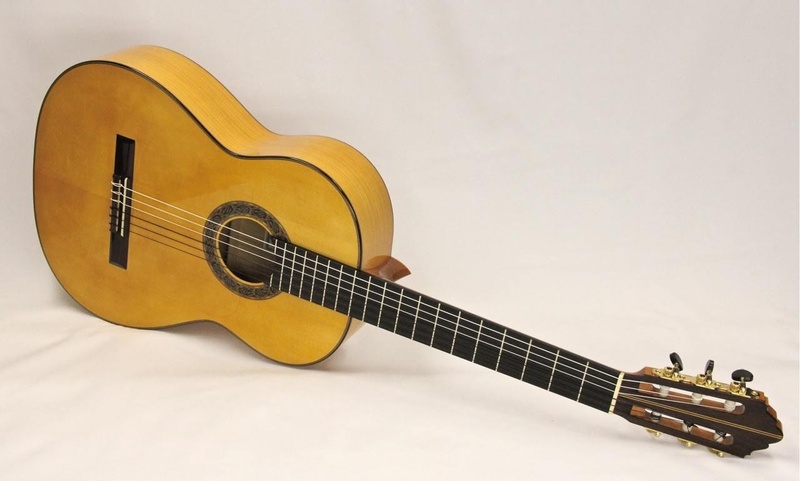 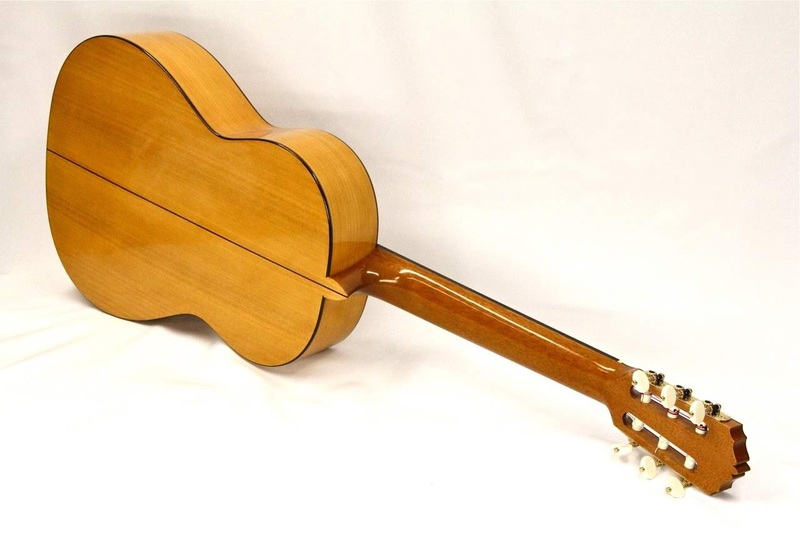 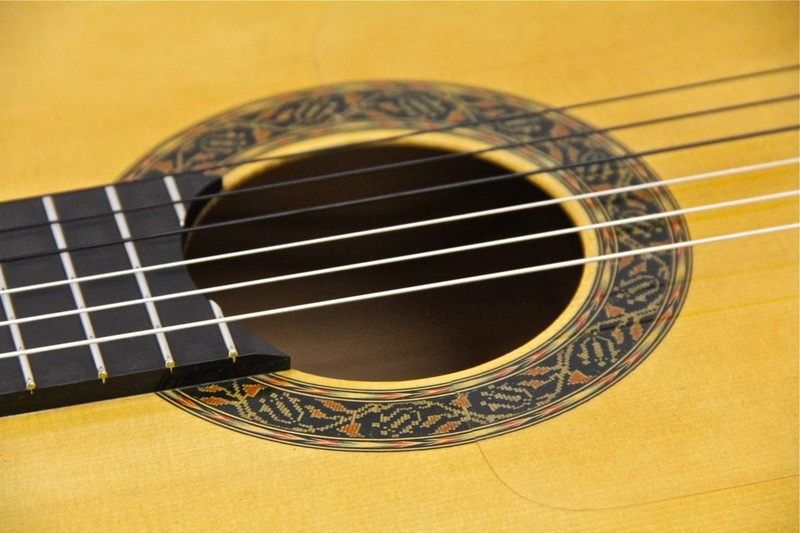 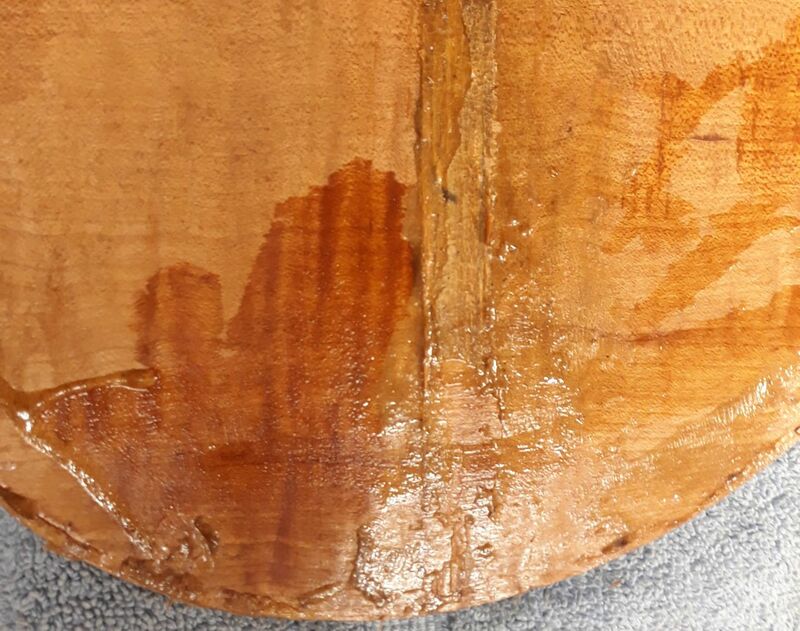 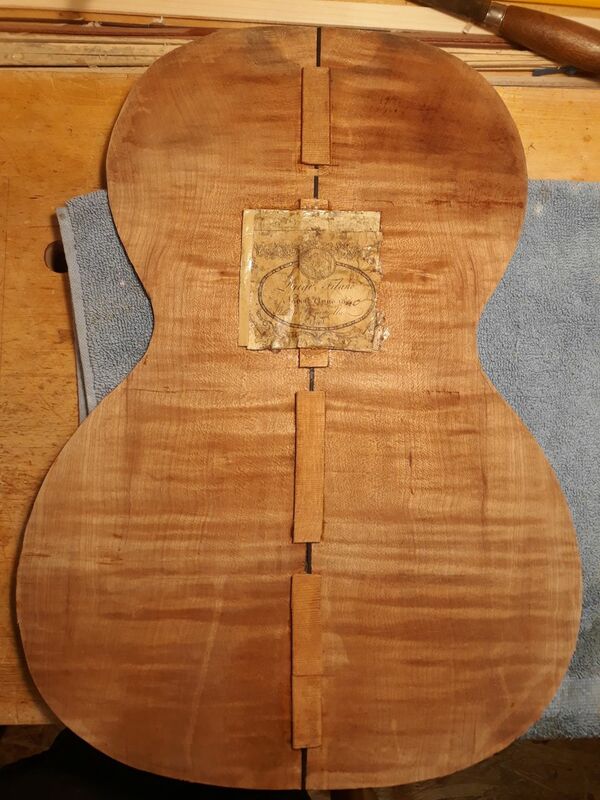 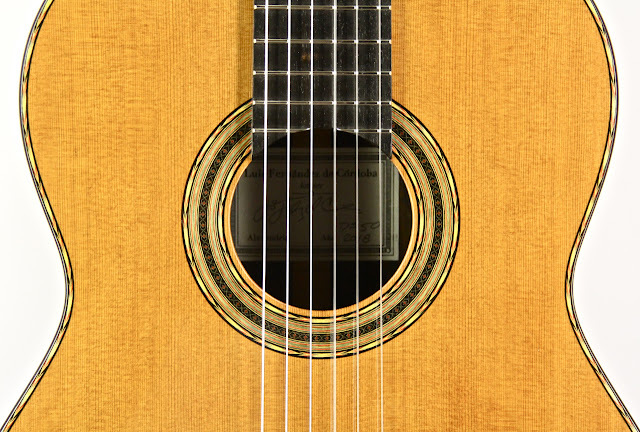 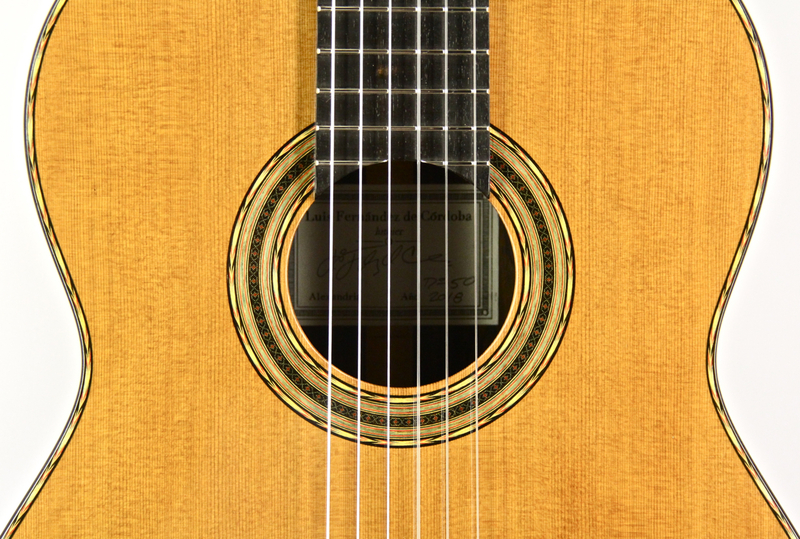 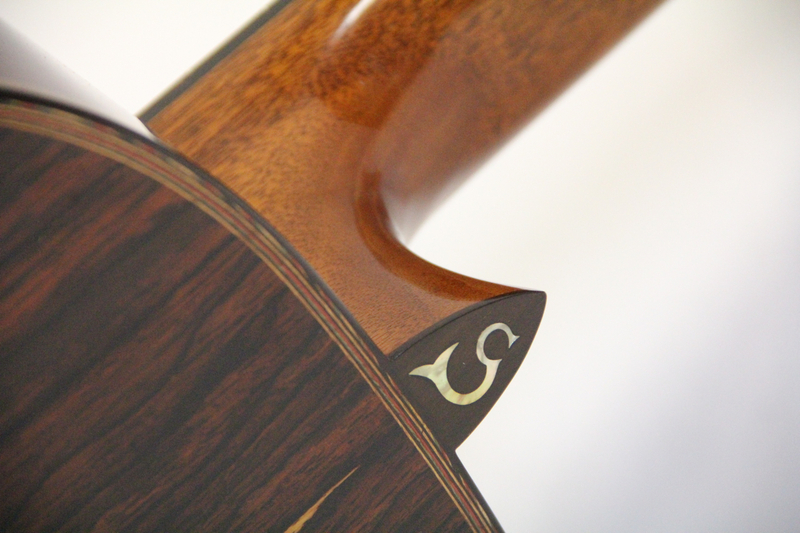 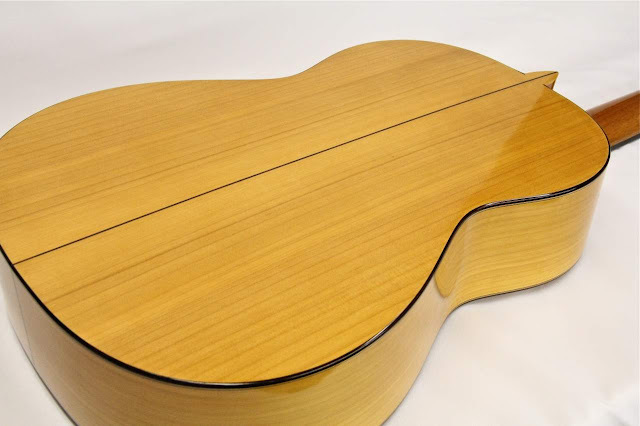 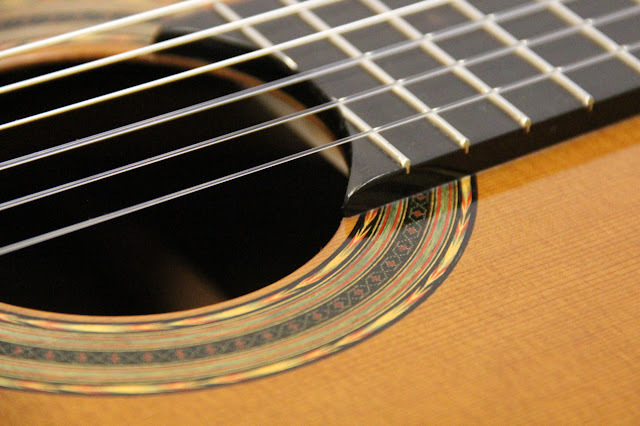 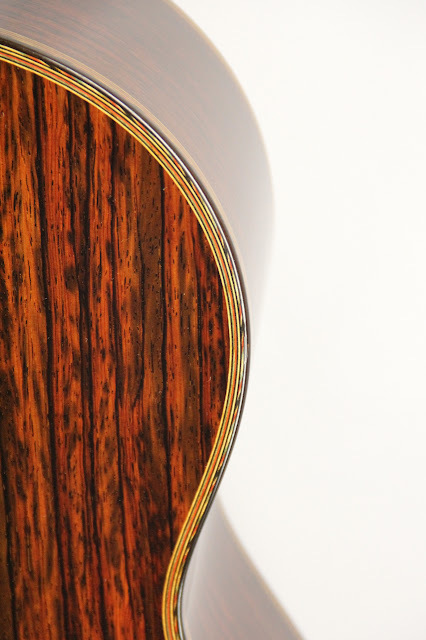 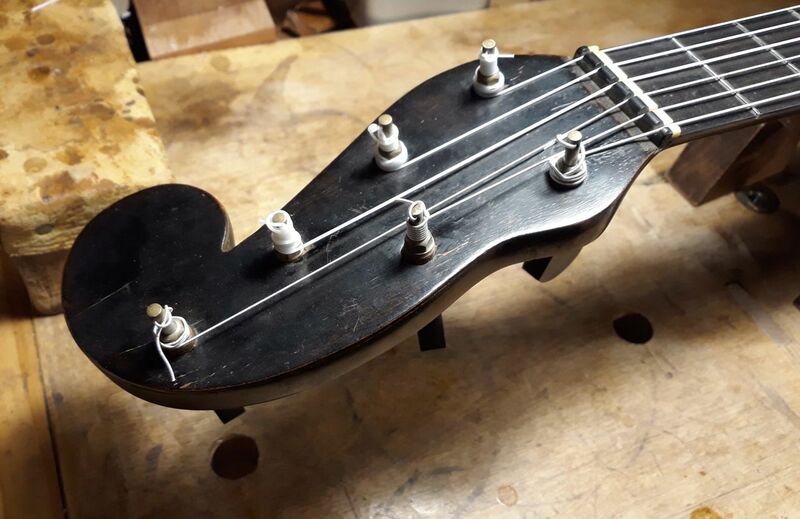 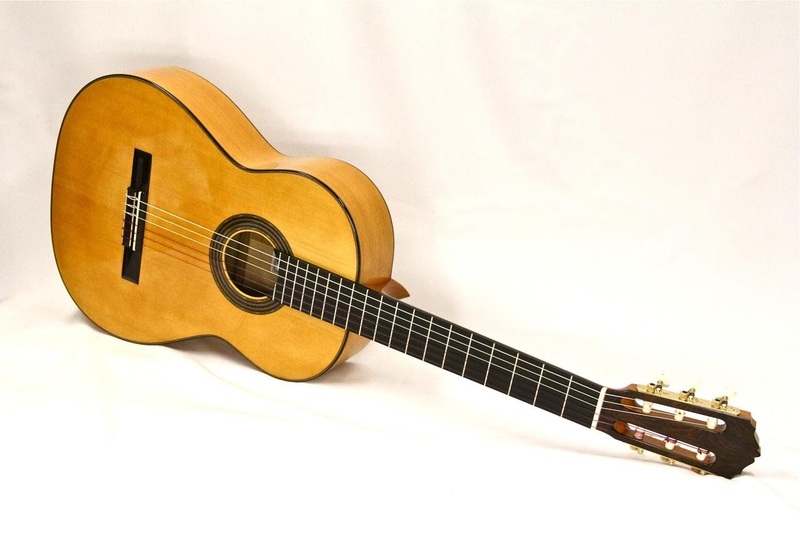 The neck is very thin compared to modern classical guitars but perfectly straight after all these years thanks in part to the veneered construction. 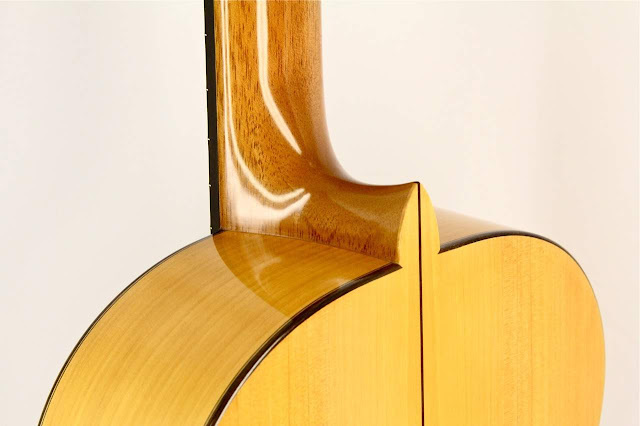 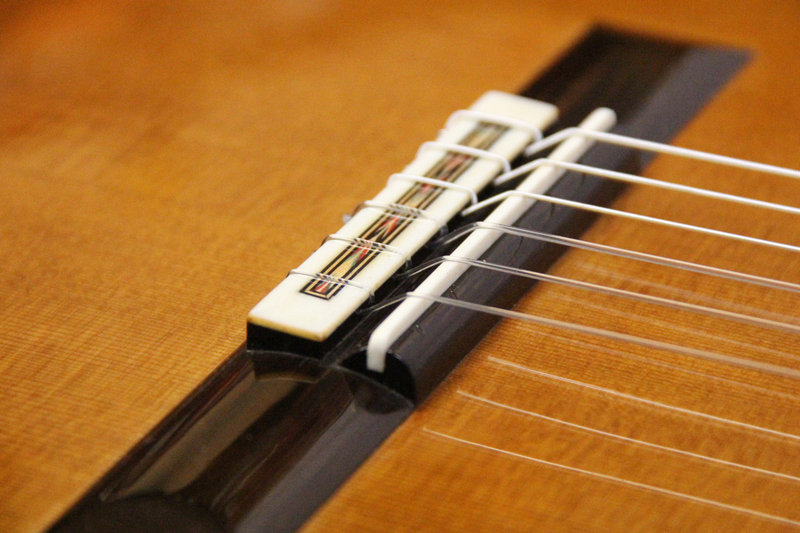 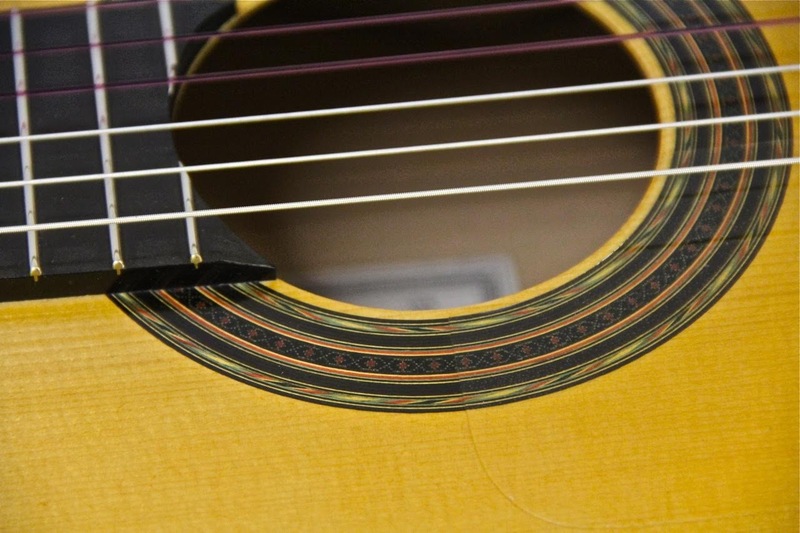 The fingerboard is flush with the top so the neck is set angled back to get correct action. Inside when I just opened the box. 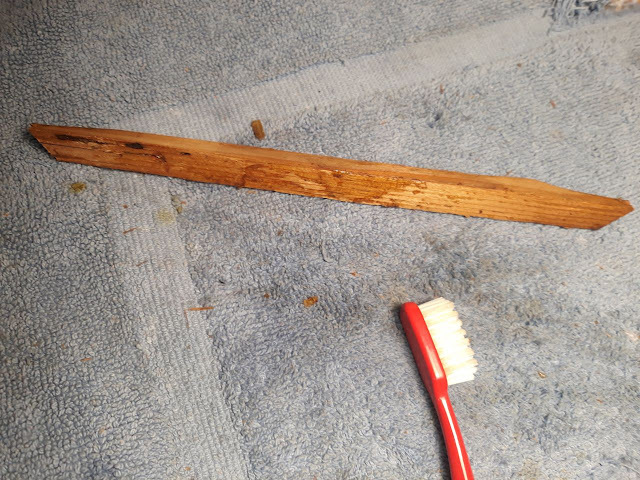 I removed some previous reinforcements. 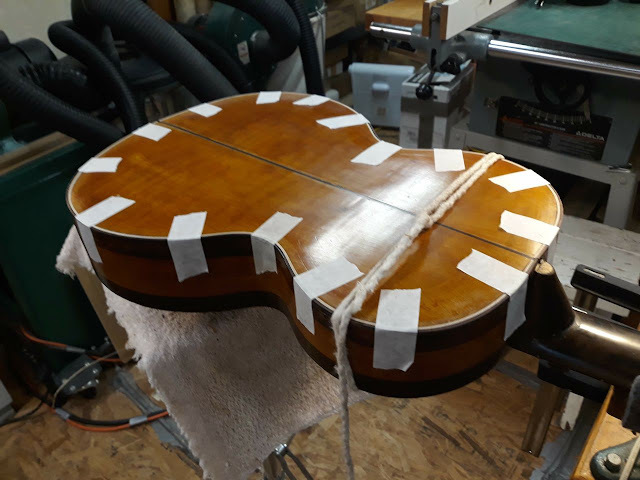 Top braces that were loose on the ends. Glue that had to be cleaned off the back to glue back braces on again. 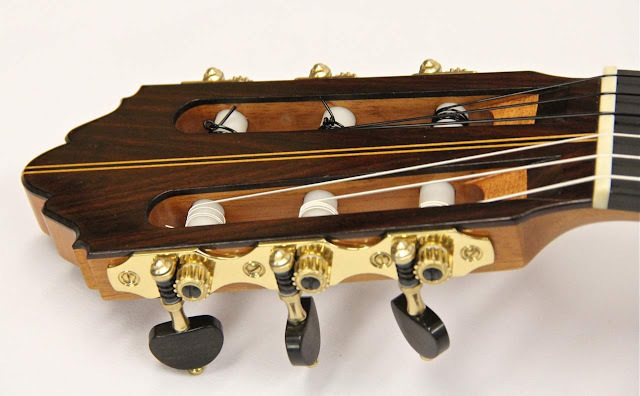 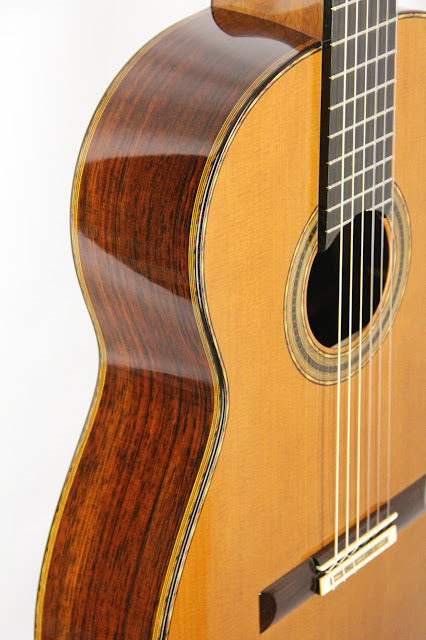 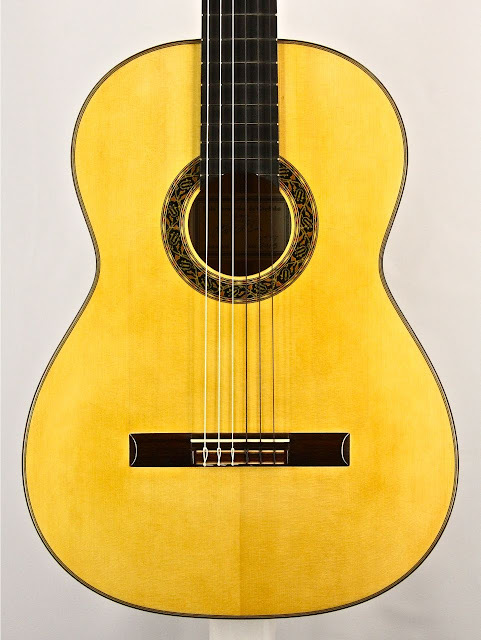 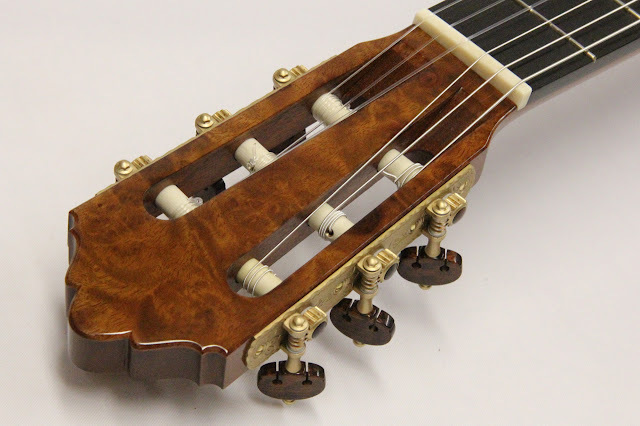 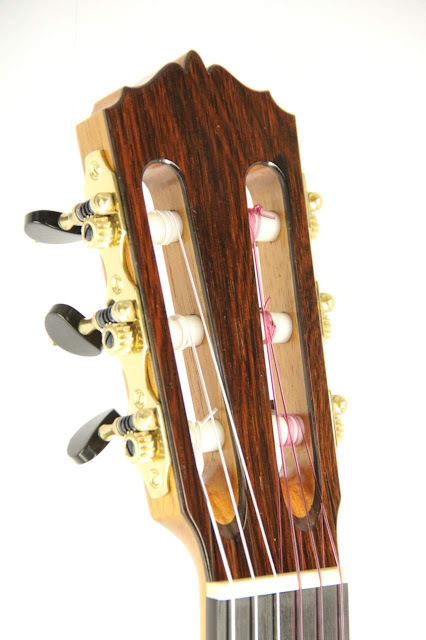 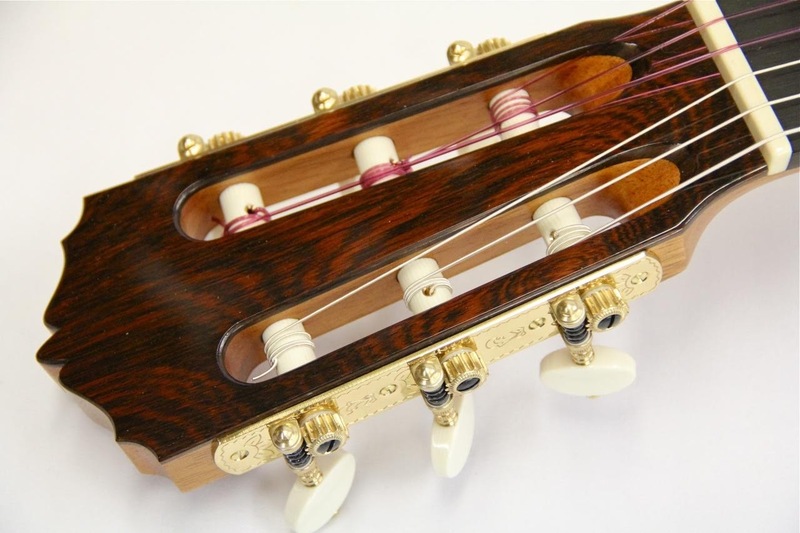 Classical guitar made with redcedar top, Cocobolo rosewood back and sides, Mahogany neck, Brazilian rosewood binding and bridge. 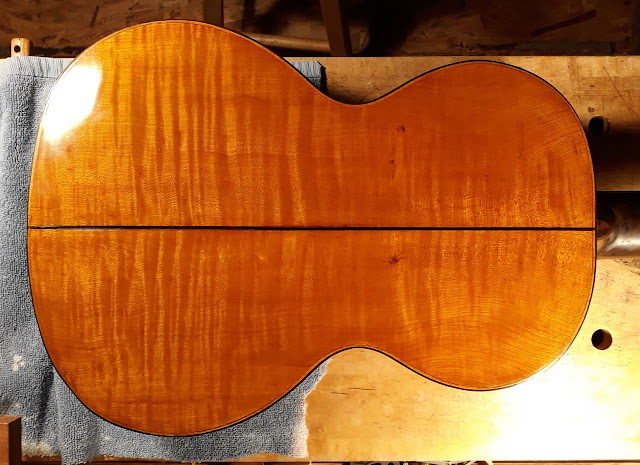 Amber shellac finish. Signature rosette. 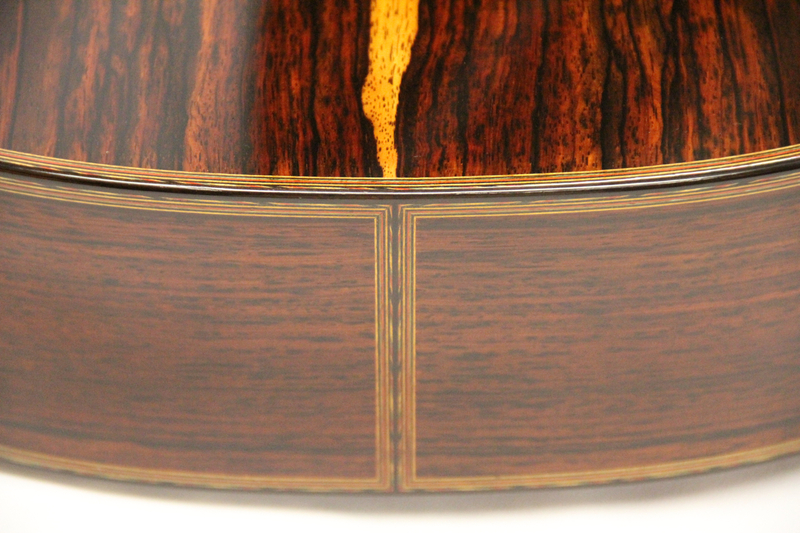 Camphor burl head veneer.